Do you have an avid hunter in your life and don’t know what to get them for the Holidays? Finding the right gift can be frustrating sometimes, but think of how happy a person will be when they got something they have wanted. It could help keep them warm as they walk through muddy forests, a new set of decoys that won’t require as much time to set up, or just a good duck call. If you were to get any of the products on list for the duck hunter in your life, then they will be thinking of you the next time they go out to shoot down waterfowls. Most of the public knows them as the stars of the show Duck Dynasty. To their fellow duck hunters, though, they are the Robertson family of Duck Commander. Founded more than forty years ago by Phil Robertson, Duck Commander is famous for their easy to use duck calls. To this day, they continue to improve their product to get it to mimic duck calls as close as possible. That goal remains unchanged, and it has led to their best product yet- The Jase Robertson PRO Series Duck Call. Duck Commander puts a lot of pride into its Jase PRO Series, calling it the culmination of years of practice. It builds on the riveted double reed design that Phil Robertson patented to mimic the call of a mallard hen. There are more than ten versions in the PRO series available. Each one contains a polycarbonate material that would prevent damage from severe weather. More than that, though, Duck Commander prides itself on the unique qualities the PRO series had. It is made with a high end for use on the open water, along with a soft low end to finish a duck call. More important, though, is that they say it is the easiest blowing call the company has ever made. The Robertson family even signs the insert card to ensure its use. Three things make this an excellent gift for the duck hunter in your life: the variety in the series, the reputation of its makers, and the ease of use. 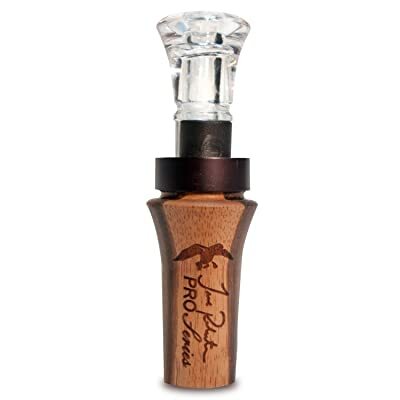 There are ten duck calls in the Jase PRO series, made from a range of handcrafted wood and acrylic material. Some are easier to use than others are, with the Maple, and Tigerwood PRO’s touted as the easiest. All are easy to use, though, making it perfect for someone starting or a seasoned veteran. Most important, though, is the reassurance that comes with the Duck Commander brand. When you buy from Duck Commander, you will get your money’s worth. Developed after extensive research and testing, the Banded RedZone Breathable Wader was born to keep the cold and water out. The RedZone is covered in a waterproof, breathable lamination, and filled with insulation to keep a person warm and toasty. It is made to allow the best movement and even comes with insulated boots. For ease of use, it incorporates a bib-fit style. 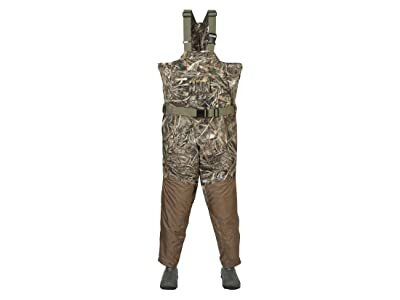 I hunted in these waders on a blustery, below-freezing day in Minnesota this year and never felt a nip of cold. The first thing you’ll notice about these bad boys is the over-the-boot gaiter. This is a brilliant feature that prevents wear and tear when you’re plowing through brush. This is perfect for the duck hunter you have in your life. It is essential to carry your supplies with you when hunting and to keep them dry at all times. Even so, you might have to leave your bags behind if you have to walk through water. 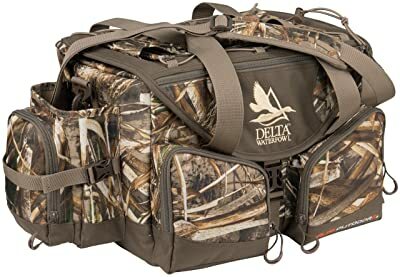 With the ALPS OutdoorZ Delta Waterfowl Floating Deluxe Blind Bag, you will not have to worry this! ALPS OutdoorZ’s blind bag is made from a special cell foam that keeps water from seeping inside, protecting the contents within. As a bonus, it can float on the water so that you can take it anywhere. Inside the bag, you will find many helpful features. This includes a removable LED light; optional interior divides a case for glasses and a pocket for your cell phone. There are even more pockets to keep supplies in, so a creative hunter will have plenty of room to work with. The bag also has some external accessories. The padded handle and shoulder strap provide easy transportation. There is also a hand warmer, a game tote slip ring, and a belt for those shotgun shells and for wading in the water. This makes such a great gift because it is small and easy to carry. Lugging all that equipment and keeping track of it can be a pain, especially when you have to walk through water. With ALPS OutdoorZ blind bag, you do not have to worry about your gear being wet or left behind. It is perfect for a hunter. These decoy gloves from Glacier Glove are among the best in waterproof gloves. Extending up to a person’s elbows, these gloves are made from 2 mm of an insulator called neoprene. The insides lined with fleece, ensuring that heat stays inside the gloves at all times. The sharkskin texture on the palms provides a durable grip, while there are no openings for water to seep in. They are waterproof. It is essential to keep warm and dry while hunting, so most hunters wear insulated gloves. Additionally, the right camouflage can mean the difference between getting spotted or not. The camo details on these gloves let a person blend in with the environment, making hunting easier. These are an excellent gift for any duck hunter. 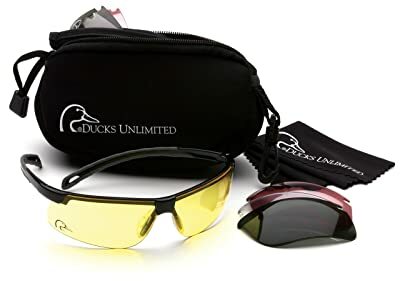 The Ducks Unlimited shooting eyewear kit contains everything a hunter needs for glasses. Four interchangeable lenses can be switched out when needed clear, forest gray, amber, and vermillion. It also comes with a neoprene storage case and a microfiber cleaning cloth for safety. The best part is, the wraparound lens protects the eyes from the front and the side, keeping them safe. As the adults in The Christmas Story kept saying: “you’ll shoot your eye out.” Handling a gun comes with the risk of being shot in the eye, and shotguns carry a more significant threat. These glasses will keep a hunter’s eyes safe if their gun misfires, preventing blindness. They are an excellent gift for any duck hunter for the holidays. 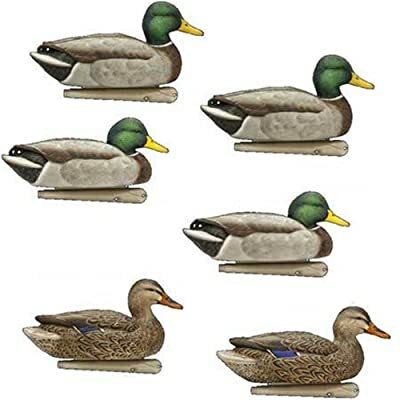 Avian-X calls this six-pack of floating mallard decoys the most realistic set ever made. The level of realism in the paint jobs is impressive, while the rubber mold ensures long-term durability. The keel for these decoys is front-heavy; when combined with a swimming clip, it makes the decoys look like actual ducks swimming in the water. The decoys are extra-large to help them stand out and attract ducks from far away, and they come with either high or low heads. 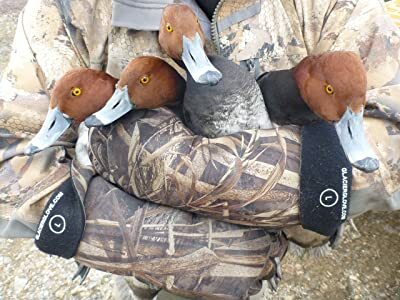 They will imitate the movements of real ducks to a T.
The reason that this pack makes for a good gift is that decoys play a big part in duck hunting. Ducks are more likely to come closer to hunters if they think other ducks are nearby, luring them within firing range. A hunter need only wait for them settle in, and then take their shot, the target none the wiser. These decoys are necessary have gift for a hunter! The reason that this pack makes for an excellent gift is that decoys play a big part in duck hunting. Ducks are more likely to come closer to hunters if they think other ducks are nearby, luring them within firing range. A hunter needs only wait for them to settle in and then take their shot, the target none the wiser. These decoys are a necessary gift for a hunter! 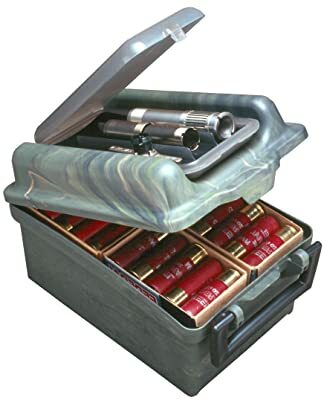 This case is the perfect way to transport shotgun shells and choke tubes. This case has enough room for a hundred twelve gauge shells or fifty rounds of 10 gauge shells. Since it is so compact, a person can leave the shells in open boxes and stack them on top of each other. It even comes with a detachable, see-through choke tube case that hold tubes, lube, and wrenches if needed. Shotguns are the preferred tool of choice for duck hunters to shoot waterfowl. They may have a short range, but buckshot has a better chance of hitting something. This case will go a long way to making sure that the hunter in your life has enough ammo on trips, and the compact size makes it easy to carry. That is what makes it an excellent gift for any duck hunter. Keep your faithful canine companion hidden and comfortable when out hunting. 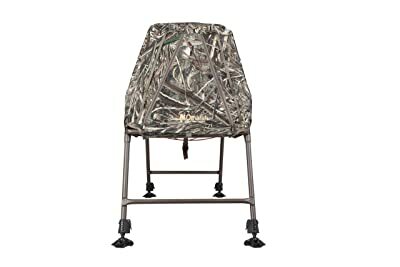 Whether you are on the water or dry land, this dog blind is the perfect place to hide your dog. It keeps with legs that can individually be adjusted for terrain and can stand in almost three feet of water. The bottom of the blind can drain out water and keep a dog nice and dry, and serve as a crate to carry them to the hunting site. People have been using dogs as hunting partners for centuries, duck hunting included. However, while we go to great lengths to camouflage ourselves, we do nothing to hide dogs from the duck’s watchful eyes. This way, you can keep them nice and warm until it is time to sic them on waterfowl. It is not only a gift for a duck hunter; it is an excellent gift for dog lovers, too. They can use them to take their dogs on camping trips! 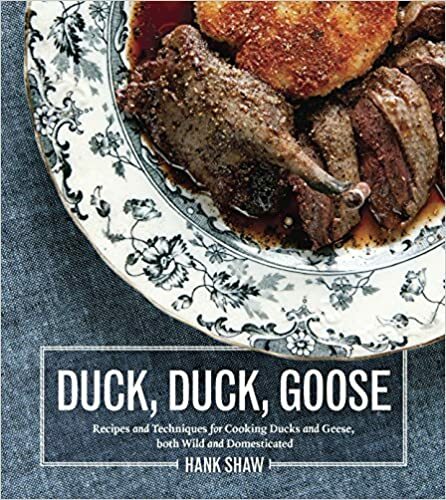 From the author of the award-winning blog, Hunter Angler Gardener Cook comes a comprehensive cookbook to cooking waterfowls. Hank Shaw is one of the prominent experts on wild foods, with his blog called the most significant place on the Internet for tips and recipes for food not found in stores. This cookbook includes many different methods from Duck Pho, to Mexican Duck with Green Mole, to Grilled Duck Breast. Delicious! Some people may hunt and kill ducks for the fun of it, but others will do it not only for sport but also for food. 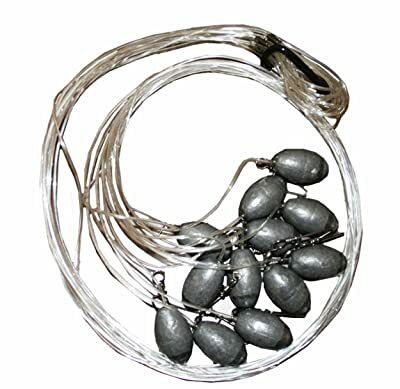 If you know an avid duck hunter who likes to eat what they bring home from trips, then this is the best gift they could ask for. It even includes guides on each species of waterfowl and how to pluck and hang birds you shoot. They will be forever grateful if you give them the gift of delicious cooking, making this a terrific gift.